Is there a more universal language than knitting? Music and dance are definitely up there. Knitting is such a complex, yet simple, language too – it engages all of our senses and it enriches us in incredible ways. As human beings, we never forget how something makes us feel and knitting and yarn are always bringing out positive emotions. From the touch of the softest ball of yarn to staying warm wrapped in a cosy handmade blanket to the look on a person’s face when you give them a hand knit scarf. Knitting is universal – no matter where you live, what language you speak, how old you are, whether you’ve travelled the world or never left your town… knitting always means one thing. Love and comfort. There are many connections between people through knitting. From the farmer who raises the sheep to the newborn baby who wears the wool hat… we are all connected. When we knit something for someone we always keep that person in our thoughts, we imagine giving them a finished garment and we imagine them wearing it. It’s incredibly rewarding. A while ago, I read an article about knitting and its similarities to writing code. The more I read, the more convinced I was that there was a strong connection between the two. The article spoke about how knitters are human computers and they are predisposed to learn how to code. They use little bits of information (stitches) and turn them into something recognizable, like a sweater. I’ve read numerous articles on the subject since and they all support the same idea. I like the metaphor describing knitters as human computers because there is nothing more human than making, creating, something wearable (useable) for other people. As knitters, this is our way of sending a message that we care, we love, we connect. Knitting doesn’t have geographical boundaries either. I haven’t travelled too much but I’ve been to a few countries and I don’t remember a country I’ve visited where people didn’t knit. We may not use the same terminology or technique but we all know that we are creating and it leads to the same results. To teach someone to knit, you don’t have to explain a lot or let them read an instruction manual. All you have to do is show them. And they’ll learn. It doesn’t matter what language you speak, they will understand you. We are also connected through generations and through time. The oldest knitted artifacts found are socks from Egypt dating back to 11th century. (History of Knitting, Wikipedia) In fact, because of the complexity of stitches and rows, archeologists believe knitting dates back long before these artifacts were found. Imagine this for a moment while you’re knitting the socks on your needles right now. You are part of history. Continuing a craft that originated more than 10 centuries ago. How incredibly connected are we through this universal skill?! And even in more recent times, wool is being transferred from generation to generation as part of a family’s history too. When my first son was born, my mom used wool that was almost 50 years old that my grandmother had spun from my great grandfather’s sheep, to knit a vest for my baby. It was an amazing gift which had the presence of three generations. This one tiny vest didn’t just keep my baby warm, it told a profound story. I loved that vest and is now safely put away. What I think has the most effect though, is that through knitting we make a connection with ourselves. We rediscover our patience, passion, ability to create, to enjoy making, finding peace through taking action. Knitting lets us take the time to think and be productive, teach ourselves new things and become proud of what we’ve achieved. I mean how many times have you had a sigh of relief and a big smile on your face when you finally figure out a new pattern or learn a stitch and you see it appear under your needles? It’s incredibly rewarding. There was a long period of time (mostly in my teen years) when I didn’t knit. I guess as a teenager I didn’t feel it would make me popular if I announced to everyone that I liked knitting. However, as I went into my 20s I realized that knitting was in my blood and I wasn’t quite done with it yet. All it took was a visit to the yarn shop and I was back to creating. I am so glad I rediscovered my favourite craft. It’s helped me make new friends and expand my social network with like minded makers. It was as if I went back to speaking a language I had abandoned for a while. It helped me rediscover myself too. This is really great! I totally agree that the activity of knitting is a language that everyone can understand. It is weird, though, how different languages deal with providing instructions for it and sometimes don’t describe the moves quite right. A lot of my Spanish speaking knitter friends who don’t really speak or read English say they prefer following a pattern written in English because it’s easier for them to understand in terms of symbols and abbreviations. One glaring example is SSK, which is not ever described well in Spanish. This is so interesting. I never would have thought it would be so different. I know that in Bulgaria there are hardly any patterns. Most people just make up their own depending on size, gauge, etc. My mom has been a knitting for over 60 years and she doesn’t use patterns at all. I’m amazed every time she decides to replicate a picture she saw in a magazine and she makes it the exact same without even looking at the pattern. I think it depends on how people approach knitting for the first time. I think as a family tradition or cultural tradition patterns wouldn’t be needed and in a context where knitting is being learned from books and patterns it’s different. Definitely in Spain people follow patterns like a lot of people in the USA. Very good point. I learned by watching my mom and grandmothers. But I have friends who learned entirely through books of patterns. So I can see the difference there. It makes a huge difference. I do not know if you are familiar with Barbara G. Walker. She wrote, in the 1970s, a series of knitting encyclopedias called A Treasury of Knitting Patterns, in English (obviously). She is the “inventor” of SSK. The rest of the world might not have got her SSK message, so it gets mangled in the translation. That’s just one example. In countries and societies where knitting has been strong for 200+ years, without interruption, these kinds of things aren’t noticed, but in countries where hand knitting is experiencing a sort of renaissance, there are plenty of lagunas. I agree completely. I didn’t know Barbara G. Walker and thank you for mentioning her. I learned about the SSK when I started reading patterns in English. Before that I considered everything to be K2tog. I didn’t understand why there must be a different term. I actually had to search for a YouTube video to see exactly how to knit the SSK. Mind you I knit quite differently from the continental style knotting which also makes learning new stitches tricky 🙂 Everything is almost backwards. So it was hard for me to understand the SSK. Thank you! 🙂 I cherish every aspect of it. It’s incredible 🙂 I hope I can pass that onto my kids one day. Love the analogy to coding! This is amazing, thank you for a great post. Loved reading it, so very interesting. This is exactly how I feel! I learned to knit from a book and out of desperation because my grandmother was getting too arthritic to make coming home jackets for my babies! I had taken a class in 5th grade but like you, knitting didn’t feel cool in my teens. Then after the babies stopped coming I knitted for myself for a while. Sadly I let it go while my kids were in their teens. But then once they grew up and started having babies of their own, I found my purpose and knitting is my constant companion. And I’ve found that when I travel with my knitting, I connect with people. Even if I don’t speak their language, we “talk” knitting and share patterns. What a lovely article you’ve written, to remind me of the universal language of knitting, thank you! A lovely meditation on the stitch and our connections! Love the story behind your son’s baby gift! 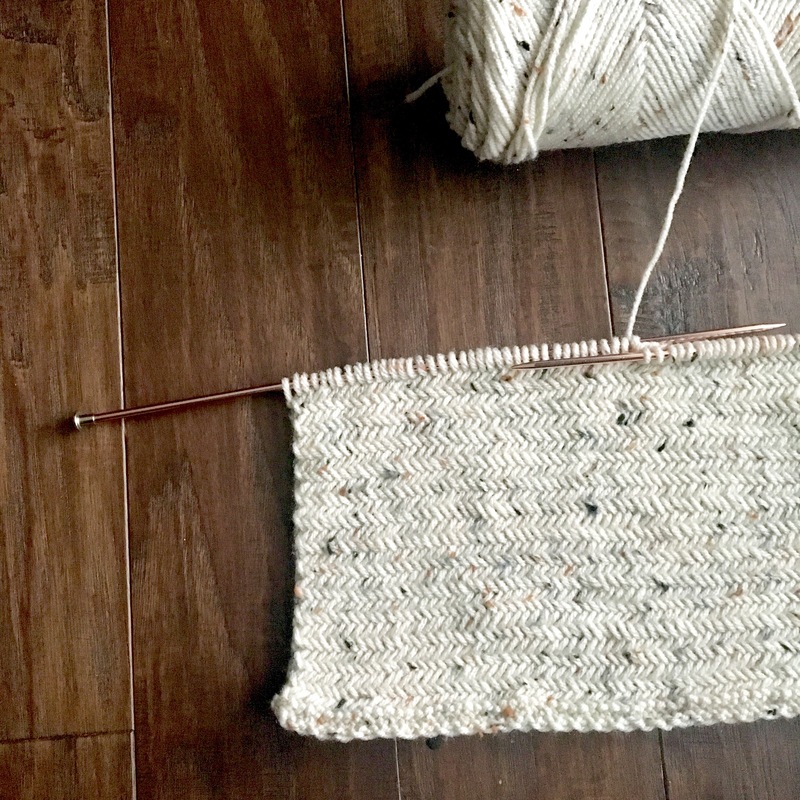 Great post, I was similar and stopped knitting as a teen, rediscovering it in my late 20s when I wanted to make a blanket for my baby. Nothing stops me now!